We all know how to make a cup of tea! I mean, we do it every day…. Right? Add loose leaf tea in a strainer or tea bag before or after you add the boiling water into your cup. Let is steep. Some may dip the tea in very briefly so the tea won’t get too strong while others prefer a stronger tea and let it sit for 5 minutes. Almost right, but not quite! In order to get the best possible flavors out of your teas, there are a number of things you can do differently. 1) Invest in high quality teas and ditch your tea bags! It’s not only good for you, but also for our planet. Loose leaf tea has complex flavors compared to lower quality teas. AND these premium tea leaves can be re-used for multiple infusions! Afterward you can use the leaves as compost, it will make your plants very happy! 2) Add the right amount of tea. Adding too little or too much tea will make the taste too strong or not extracted at all. General rule of thumb, infuse 2 grams per cup. Always wondered why your tea has a bitter flavor? The bitter taste is not created by leaving the tea leaves in your cup for too long, BUT it is the result of putting your leaves into boiling water. When you pour extreme hot water over your tea it burns the leaves. This results in the tannins getting extracted and causes the tea to taste bitter and astringent. so instead of pouring hot boiling water over the tea. Let the water cool down for a bit. * Fynbossen such as Rooibos and Herbal teas can be infused in hot water (100 degrees). Each tea has a unique flavor and qualities that are released with different recommended steeping times. Black Tea : 90 degrees – steep for 3 – 5 min. Oolong Tea : 85 degrees – steep for 2 – 3 min. 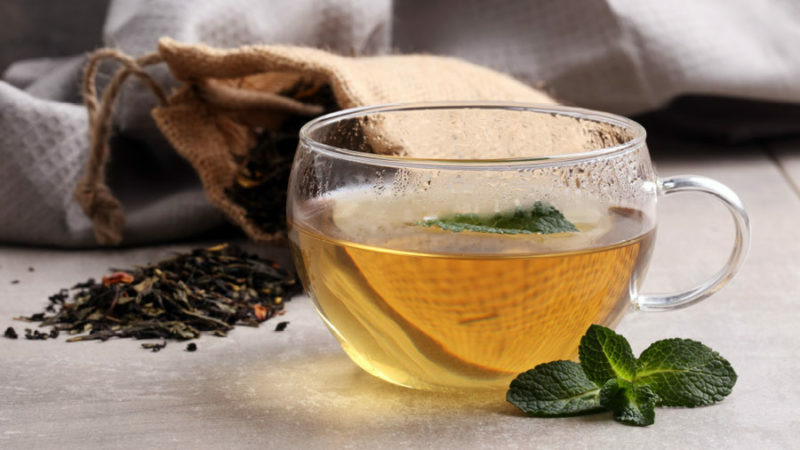 White Tea : 80 degrees – steep for 4 – 6 min. Green Tea : 70 degrees – steep for 1 – 2 min. Then we have good news, there is no need to stand next to your kettle with a thermometer in your hands. Luckily, there are great kettles out there which control the heating temperature! Just choose one of the multi-temperature buttons and you will heat your water to the exact temperature varying from 50 degrees to 100 degrees. So next time when you brew your tea make sure to get the temperature right. It will make all the difference!